Former U.S. House Speaker Newt Gingrich is giving the keynote address at an annual gathering of Alabama farmers. The Alabama Farmers Federation is holding its 97th annual meeting Sunday and Monday in Montgomery. 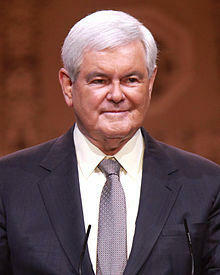 Gingrich will address the group Monday night. The Alabama Farmers Federation says that over 1,200 farmers and guests have registered for the meeting. It is one of the state's largest gatherings of farmers. The organization on Sunday gave its service to agriculture award to Alabama Agriculture Commissioner John McMillan.